In an era when big clubs recruit teenagers from overseas and claim them as academy products, a true grow-your-own plan conceived by Dan Ashworth over a decade ago looks set to bear fruit just in time to breathe fresh life into West Bromwich Albion. The Baggies reported a pre-tax loss of £7.5m on Monday and confirmed they had "exhausted our funds" by spending almost £60m on new players and increased wages last season, a campaign which still ended in relegation from the Premier League. A few hours after that financial announcement, the Championship club played in their first FA Youth Cup semi-final for 41 years. West Brom did not make it to the final, but they pushed Manchester City all the way before eventually losing 4-2. That they went as close as they did was a remarkable achievement. City, who have raised £153m from sales of young players including Jadon Sancho and Brahim Diaz to Borussia Dortmund and Real Madrid respectively, were watched by Pep Guardiola and played three former Barcelona youngsters and two other overseas recruits in their starting line-up. In contrast, West Brom's included just one player who comes from outside the West Midlands: Oxford-born defender Pablo Martinez. Most of their team joined the club when they were still in primary school. 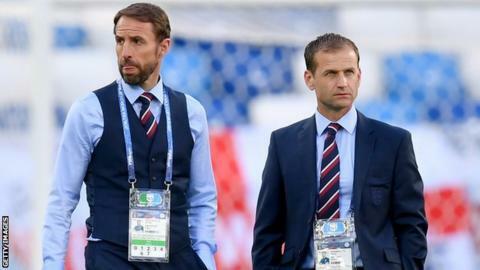 He spent eight years with the Baggies, the last five as technical director, before joining the Football Association in 2012 where he masterminded the phenomenal success of England's age-group teams, including World Cup success at under-17 and under-20 level in 2017. Ashworth was the man who opted against operating a scouting network at West Brom because he "wanted to get things right locally" and made the changes that got the club their Category One academy status in 2012. Spending the millions required is not an insignificant undertaking. At the time West Brom needed coaching, medical, sports science and recruitment staff. They also had to lay a new Uefa standard pitch next to the club's indoor training area. Some clubs, Huddersfield for instance, have decided the expense is not worth the reward. When West Brom lost excellent prospects in the form of striker Izzy Brown to Chelsea as a 16-year-old in 2013 after one senior appearance, former England Under-17 international Jerome Sinclair to Liverpool in 2011 when he was 14 and Wales forward Matt Smith to Manchester City at the same age in 2013, they might have concluded the same thing. However, even though Ashworth had moved on, West Brom kept faith with his plan. "We stick with what we believe in," said academy manager Mark Harrison. "I am an ex-professional but I also worked as a teacher. Governments brought in initiatives but they would change the strategy every three or four years. It always struck me that if you changed things so often, how would it ever work? "Dan was our first academy manager. He put down almost all the foundations we have in place. "It takes time, as you saw with England. But the work we have done over the past 10 years is what led us to this situation." The current group won Premier League tournaments for under-12s and under-15s. Plenty of scouts have seen them do it. This time, West Brom have been able to keep them. "The pathway is the critical thing," said Harrison. "We have a plan for every player when they come into the building at 16. Also, we have a lot of staff who have been around the club for a long time who know and understand the younger players who are coming through. That benefits everyone. We are a small club compared to Manchester City but everyone knows each other. You can't underestimate the value of that. "Obviously you can never tell for certain but I would argue if those lads who left had stayed with us, they would have made more first-team appearances than they actually have." In the squads selected for the four England age-group teams from under-20s to under-17s last month, West Brom had four representatives - the same as Liverpool, Manchester United and Tottenham. Only four clubs had more; none come from the Championship. Two of their semi-final team have already made their senior debuts. Another academy product, 20-year-old midfielder Sam Field, has made 38 first-team appearances. Yet another, 21-year-old Kyle Edwards, scored the winner at Brentford on 16 March. In releasing details of West Brom's finances, chief executive Mark Jenkins said there are 'extreme differences' between being in the Championship and Premier League next season. Whoever ends up replacing Darren Moore as first-team manager could find Ashworth's vision very helpful indeed.